Happy to be joining Jenny and ladies this week! Here we go! …a home heating system that continued to work through all of this crazy cold weather! …hot tea to ease my congestion! 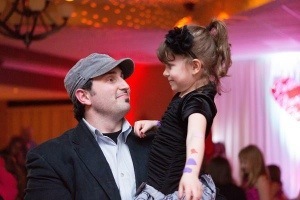 …my amazing husband who loves being a daddy so much! He took our oldest girl to a Father-Daughter dance a couple weeks ago! Someone captured this beautiful pic of the two of them that’s featured on the parish website! Melt my heart! 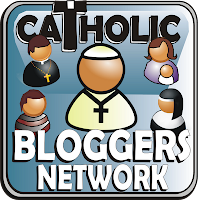 …some fellow Catholic bloggers who are going through some hard times right now, including things like miscarriages, autism, family addiction issues, etc. …my mother-in-law’s continued fast healing after her hip replacement surgery. Hungry Souls: Supernatural Visits, Messages and Warnings from Purgatory by Gerard J.M. van den Aardweg. This book has been on my wish list for quite some time. I finally downloaded it and it is very interesting so far. I haven’t spent too much time thinking about purgatory lately, but our prayers and sacrifices truly make a difference to these souls so that they can be finally united with God for eternity. I’m trying to be more conscious about praying for specific people and not just going through the motions for the “souls of faithful departed”. …hand-knit dishcloths. I love that they don’t take much time to knock out and most of my old ones were in desperate need of replacing! 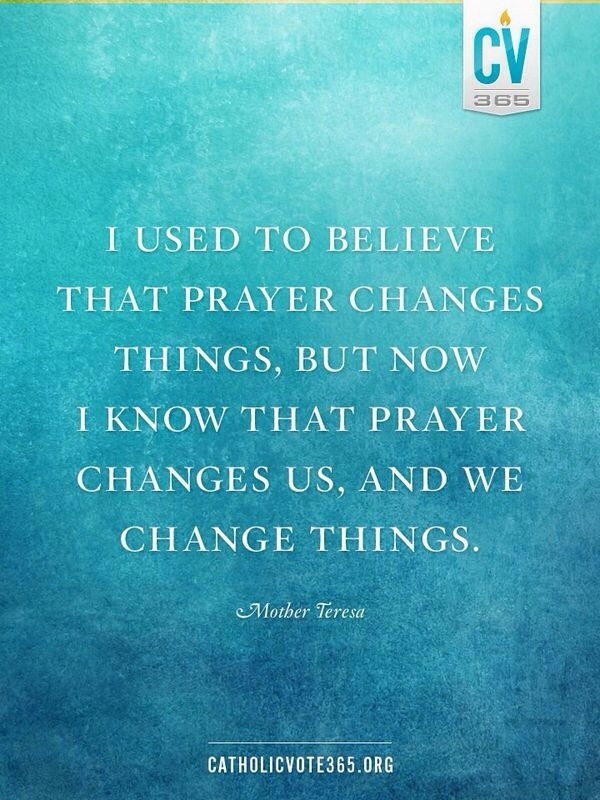 …more about prayer. I just finished up Prayer Primer by Fr. Thomas Dubay a couple weeks ago. I’m really trying to commit to a more dedicated prayer life. I plan to post something later this month about some helpful insights I have come across. …My two girls and I were sick most of last week/weekend with the flu. We’re finally on the upswing. Thankfully, my husband did not catch the bug! …Adam is clearing out the storage space today that we rented while the house was on the market. It’s going to be interesting to try to re-integrate this junk back into our house! Can anyone say, “garage sale”? The weather needs to warm up ASAP! …Brandon Vogt does a weekly book give-away on his blog. Three of the current ones on this week’s Love and Marriage Book Giveaway just happen to be on my to-read list right now! Crossing my fingers that I win one of them! …attending a protestant church service with one of my friends to hear Eric Metaxas speak again! (Love him!) Also, Christopher Duffley, will be singing! If you haven’t checked out this precious boy on YouTube yet, you should! He will amaze you and make you weep like a baby! For more of my favorite quotes on prayer, click here! i wish I could knit. I just don’t have the patience and with my OCD I would drive myself crazy trying to be perfect. LOL. I think knitted dishcloths are wonderful and when I think about wanting to knit it is so I can make some. And I sure hope you all feel better soon. This winter has been tough on so many. I love that you can knit. Sigh – I wish I could. Thanks, I’m all better now! I only really have patience to knit small projects! Maybe someday, I’ll attempt to tackle something more complicated! At least you can knit. lol HA Not me sister. I can do things… but not that. I don’t know why. My brain and fingers don’t work like that. You rock. Anytime the kids and I read on Purgatory it sure is a shocker to us and an awesome reminder to faithfully pray for them. I’ll have to post sometime about offering one of my deliveries up for the soul in Purgatory farthest from Heaven…WOW! It was a doozy of a delivery! I’d love to read about it!